International students who study dance in the US must be prepared to challenge both their minds and their bodies. Dance programs require students to explore the history, theory, and science of their art while developing their physical skills. Students who study dance face a difficult schedule of technique and choreography classes, long evenings in rehearsal, as well as academic classes. Dancers learn to express ideas and emotions through dance styles such as ballet, tap, modern, jazz, ethnic, and folk dance. Studying dance in the US requires taking classes in dance technique, choreography, and the history of dance. International students who study dance have the option of either a bachelor of fine arts (B.F.A.) or a bachelor of arts (B.A.) degree. Both prepare students for careers as dancers and choreographers, and the B.A. also offers the option of a career in dance education, administration, and therapy. Most dancers will teach dance at some point in their careers. Students who study dance must spend much of their time practicing and rehearsing. They must retrain their bodies to meet the demands of new dance techniques, and they must keep their bodies in peak physical condition. They must learn about good nutrition, positive body image, and ways to prevent injury. Dance students will learn different systems of dance notation – ways of describing movement through written symbols or abbreviations. A common form of this is labanotation, which uses symbols to represent the exact positions of each body part. It is a good idea for students to gain experience by helping with multiple aspects of dance performances, such as lighting, costumes, and sound. Students who study dance must be creative and self-disciplined, able to manage their time well. Is the department accredited by the National Association of Schools of Dance? What is the audition policy? Will you get the chance to perform each semester? Which type of dance does the department focus on? What is the department's student-faculty ratio? What are grads doing now? For example, the dance program of our featured partner SUNY Brockport in New York is an accredited institutional member of the National Association of Schools of Dance. 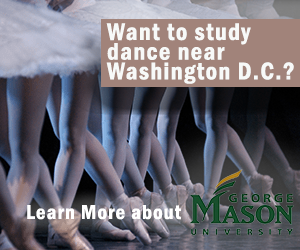 Acceptance into both the undergraduate and graduate dance programs is by audition only. Because the department puts on six dance concerts a year, there are numerous choreography and performance opportunities available for all students. The program offers a variety of approaches to modern dance, as well as studio courses in ballet, contact improvisation and partnering, tap, African dance and drumming, and Irish dance. The student-faculty ratio at SUNY Brockport is 18:1, and Brockport graduate students go on to become college and university faculty; preK-12 teachers; performers and choreographers; and dance administrators and private studio directors. International students who pursue dance as a career must be prepared to work nights and weekends, travel or relocate frequently, and spend much of their time rehearsing and in the studio. They must cross-train to prevent injuries and eat healthily to keep their bodies in top physical condition. Dance is so hard on the body that many dancers stop performing by their late thirties. Dancers need to know how to interpret a choreographer's vision and feel comfortable performing in front of live audiences. Dancers must be prepared to face rejection, as the field is highly competitive. Economists predict that jobs for dancers will grow at the same rate as the average for all careers in the US through 2018. As dance is becoming more and more popular, there should be an increase in the number of teaching jobs available. In 2009, the U.S. Bureau of Labor Statistics reported that dancers had an average hourly income of $16.37 in the United States. Visit the Study in the USA School search to find schools that offer programs of study in Dance. Over time we will be updating this section and including more information for those who want to study dance in the USA and for other countries, but please feel free to post your thoughts and comments on our Facebook fan page, and also follow us and post questions through Twitter.